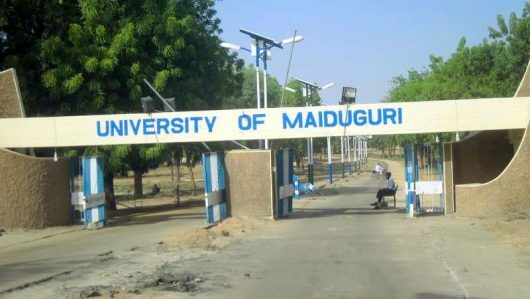 A scientist with the Physics department of the University of Maiduguri,UNIMAID,Dr.Salihu Buba Zubairu has developed an advanced 84 inches Reflecting Telescope for space study. Zubairu who displayed the fabricated telescope while briefing newsmen in Yola yesterday, said as an indigene of Michika in Adamawa he decided to unveil his fabrication in the state. Zubairu said he had written a letter to the Federal Ministry of Science and Technology for support and that he was asked to collaborate with the Centre for Basic Space Science, Nsukka and National Space Research and Development Agency. Zubairu said that he was still waiting response from the relevance agencies, adding that government support would enable him perfect the telescope to standard. He said that he was also in talks with Adamawa government and had submitted a budget to them. Zubairu said that Nigeria needed to join the league of international space observers by supporting such innovation. “Space science will give Nigerian the knowledge on environment and help detect pending disasters. “It will also enable us monitor our space effectively in area of security,” Zubairu said. He said that based on his space knowledge, he has been admitted as a member of Moon Sighting Committee of the National Council of Islamic Affairs. The lecturer who is an ophthalmic optician said that other fabrications by him included sniper telescope, moon tracker, solar projector, binoculars and optical microscope.